Group getaways are more popular than ever, from destination bachelor parties, to girlfriends’ retreats, to family reunions. Whether your ‘tribe’ is made up of extended family or close friends, finding a destination and accommodations to suit everyone can be exhausting, but it doesn’t have to be. The next time you’re in charge of planning, consider Carolina Beach – your tribe is sure to thank you. One of the most challenging aspects of a group getaway is making sure there is plenty to see and do for a variety of interests. 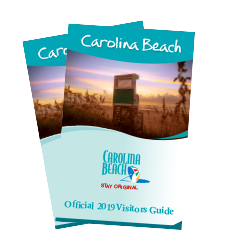 From watersports and a state park, to live music and landmark attractions, to special events, trendy culture and fantastic shopping at the beach and in nearby Wilmington, even the most difficult-to-please traveler will be hard pressed to not find something that tickles their fancy in Carolina Beach. 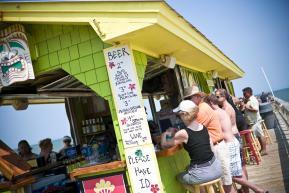 Carolina Beach offers a variety of rental homes that are well suited for large groups. Choose from the amenities that are most important to your crew – including oceanfront, pet-friendly, on-site pool, nearby public beach access and more. Bryant Real Estate, Intracoastal Vacation Rentals and Network Real Estate are all good places to start, but if you want more options, there are nearly 150 Airbnb properties in the area that sleep five or more people. For those days when you want to find one activity for everyone to enjoy, consider coordinating a kayak or paddleboard group tour from Paddle NC at Carolina State Park. Looking for something more fast-paced? Take a group surf lesson from Tony Silvagni Surf School, which is owned by professional surfer and Olympic Gold Medalist Tony Silvagni himself. For those who prefer land, a self-guided bike tour lets you go at your own pace while learning about important Civil War and other historic sites at Carolina Beach, Kure Beach and Fort Fisher. 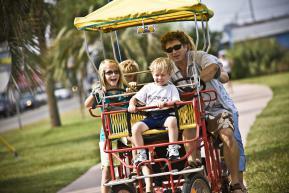 Wheel Fun Rentals offers single and double surrey bikes, as well as tandem bikes and kids trailers for the tour. Customize a group excursion through one of 20 available fishing charters or explore Carolina Beach’s waterways with one of several cruise offerings from Winner Party Boats, including moonlight dance cruises, narrated sunset tours and educational tours. When it comes to a family reunion or other family getaways, it’s important to consider everyone from the youngest traveler to grandma and grandpa. 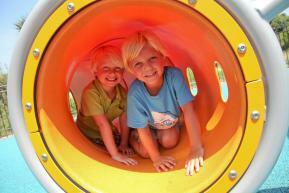 A “tot lot” playground at Ocean Front Park in neighboring Kure Beach is specially designed for children ages 3 to 6. Adventure Reef, an outdoor interactive play area and fossil dig at the North Carolina Aquarium at Fort Fisher, is also ideal for smaller children. The seaside swings and benches at Ocean Front Park are popular picks for older travelers, as are Fort Fisher State Historic Site and Museum – the second most visited tourist attraction in North Carolina – and the North Carolina Military History Museum. And lest we forget about those hard-to-please teens and tweens, the Carolina Beach Boardwalk has more than enough donuts, ice cream, fudge, amusement rides and live music to keep them occupied during the summer months. Groove to live music with friends at one of Carolina Beach’s live music venues like The Fat Pelican, ranked as one of the top “Diviest Dive Bars in America” by Impulcity.com, or Ocean Grill & Tiki Bar, named one of “America’s Best Beach Bars” by EndlessVacation.com. There are plenty of great nightlife options at Carolina Beach, all possessing that low-key beach charm that makes everyone want to loosen up and stay awhile. 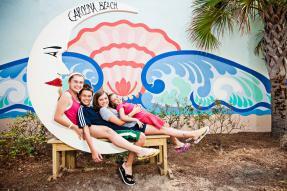 Like the familiar sound of beach music tunes that float along the ocean air, Carolina Beach has a laidback, casual vibe that encourages regulars and first-time visitors alike to relax and be carefree, just like the locals. Plan your next tribe vacation to the island where flip-flops, tank tops and board shorts are accepted almost anywhere, every hour of the day is happy hour, and travel via golf carts is widely seen around town. You’re also highly likely to make a new friend or two while you’re out and about!